Elsoft Research Bhd is principally involved in research, design, and development of test and burn-in systems and application-specific embedded systems. The company provides products for semiconductor, optoelectronic, and automation industries. Geographically the company exports its products to China, Taiwan, and Other regions. The company’s key products consist of test and burn-in systems. Majorly the company’s products are used in image sensors and automotive lightings. Ggwp17 Elsoft Research Berhad - Another Year of Record Performance and lets SELL to 0.81..
khpwwl still accumulate? the directors and his family members need to collect more and earn the dividend themselves, left hand to right hand, right hand to left hand? 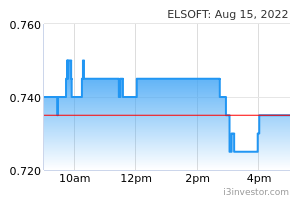 Greatleaper Elsoft become soft now! 1) during the 2018 Q4 update, the ceo mentioned that the 2017 revenue was restated(64M to 61M) due to difference in revenue recognition required by MFRS15. Do you mind, letting me copy your comment and post it on my youtube comment section to let my viewers know about it too? Lastly, thanks for correcting me :). dex Can fly anytime. DUFU in the making perhapsssssss! “总有一天等到你”。Be patients ! I m sure you will get it. khpwwl after contribution the dividend, the shares dropped...they purposely do that way? Shines Khpwwl, u are blaming all expecially the dirs, except yourself. Pple see the shares being thrown, que in to buy in a way to provide abit of support, you are thinking otherwise. angxj Why is there a stock split but the share price didnt drop by half? angxj I mean early on when it split, when the share price didnt drop by totally half ? angxj Ok thank you very much to all lovely investor that replied me. 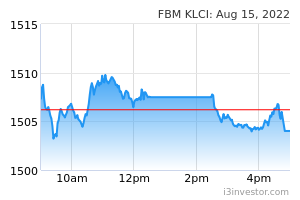 Newcummer1 Hope it can back to RM1.